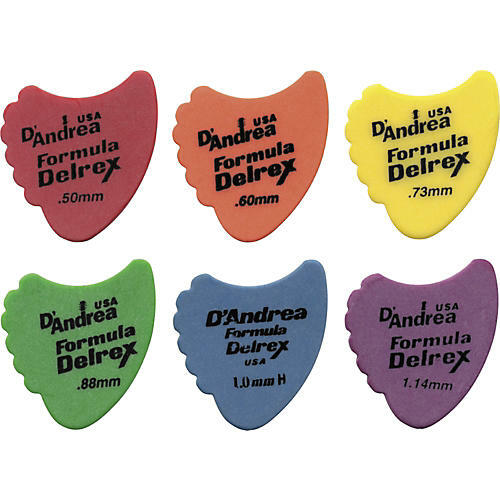 D'Andrea 390 Sharkfin Delrex Delrin Guitar Picks are made from durable Delrin formula plastic and tumbled and finished with a flat matte surface for grip. Set of 12. Get a pack of quality picks for a great price!